Clip. Hydrate. KOLD. That’s not a typo. It’s KOLD with a K, because it’s a KOLD. bottle that keeps your liquids kold for up to 24 hours! Thanks to a special double walled, vacuum insulated technology, your liquids will remain at the temperature that you started your hike at – whether it’s ice cold for those hot summer days or toasty warm (up to 12 hours) for those crisp winter treks. Yes, this stainless steel bottle can be used for both cold and hot liquids, plus you won’t have any annoying condensation on the outside of the bottle. The lid has a handy, built-in carabiner to make it easy to clip on to your backpack for quick access to hydration. 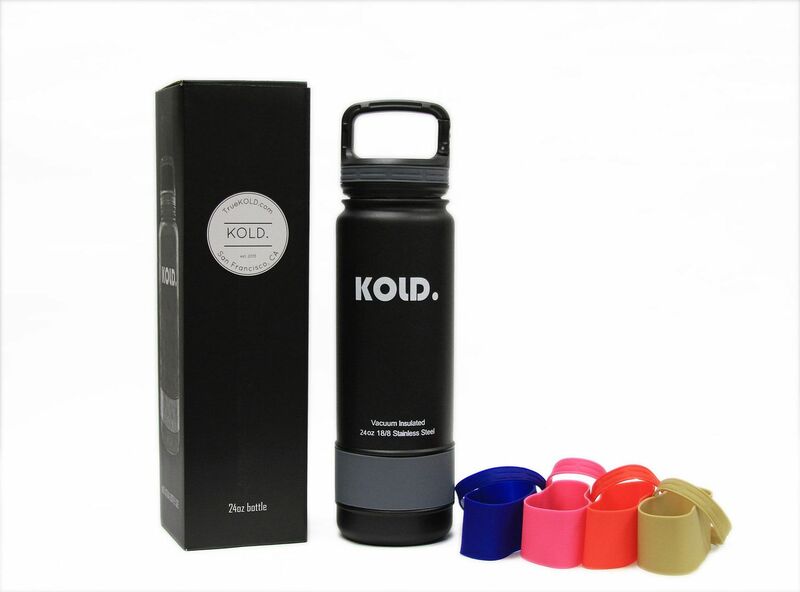 And because it’s a super hip company from the Bay Area, you can change the look of you bottle with the help of colorful, interchangeable silicone sleeves at the base of the bottle and on the lid. Mix and match five colors for a unique look to match your mood. They’ve also recently released a Tumbler with the same double walled, vacuum insulted technology, so your cup of joe stays hot for your morning commute and beyond. Check out KOLD. for hydration the way you want it!